What a clinical performance from India. They are through to the finals in authoritative fashion. 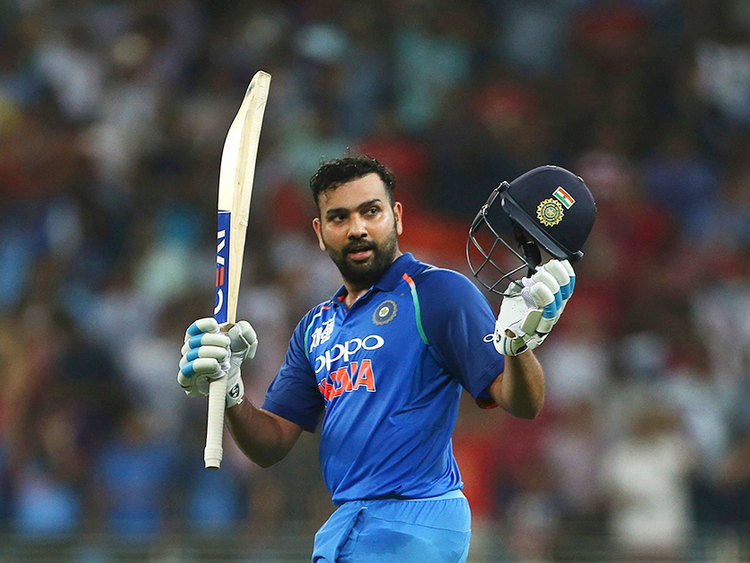 Won by nine wickets in 39.3 overs with Rohit Sharma unbeaten on 111 off 119 balls and Ambati Rayudu 12 not out. Pakistan bowlers have been let down by their fielders here. There should be lot of soul searching before their must win match against Bangladesh on Tuesday. Century for Rohit Sharma from 106 balls. It was once again a delight watching him in full flow. 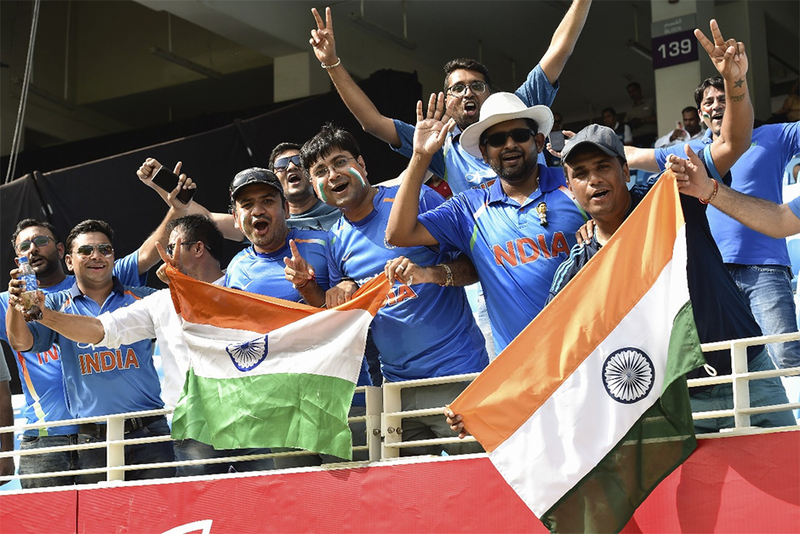 The crowd errupts and India now need 17 to win. Dhawan run out for 114. A bit casual, but he has done his part. India need just 28 to win. 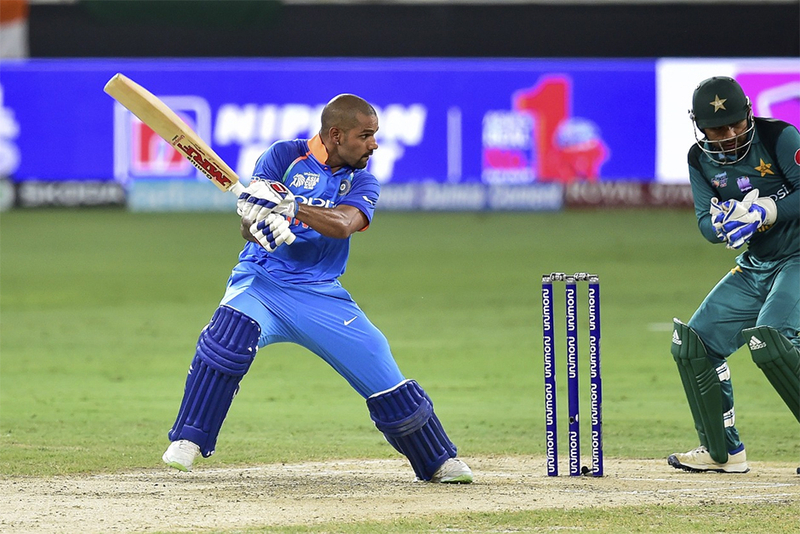 Century for Dhawan with a boundary in just 95 balls. It is his 15th ODI century and is studded with 15 hits to ropes and a six. Sharma is on 94. India 198 for no loss. Need just another 40 to win. Dhawan just one shot away from his ton. He is on 98 off 92 ball. India 193 for no loss in 32 overs . Rohit Sharma on 91. Pakistan were 99 for 3 in 27 overs and India now 157 for no loss in the same number of overs. 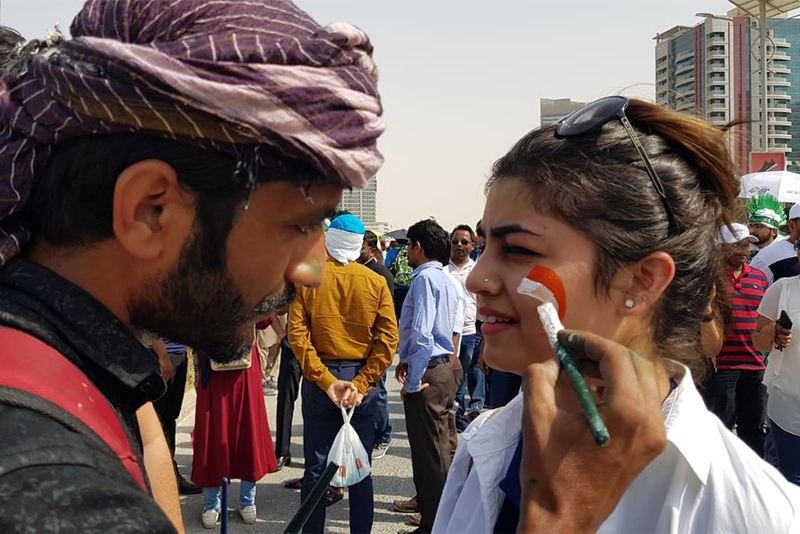 Pakistan is surrendering meekly. India' is 150 for no loss in 26 overs. Rohit Sharma and Shikar Dhawan have made the Pakistan bowling attack look so ordinary. They are milking the runs at will now. India just need 100 from 150 deliveries. Sharma is on 59 and Dhawan is on 80. Fifty for Rohit Sharma off 65 deliveries. He has made that drop catch from Imam count. India cruising at 119 for no loss in 22 overs. India reach 100 in 19.1 overs. Looks like India is running away with the game. Pakistan need to draw inspiration from somewhere and find a breakthrough. Hand shakes between Rohit and Dhawan. They know they have put the team on the victory path with their dominant show. 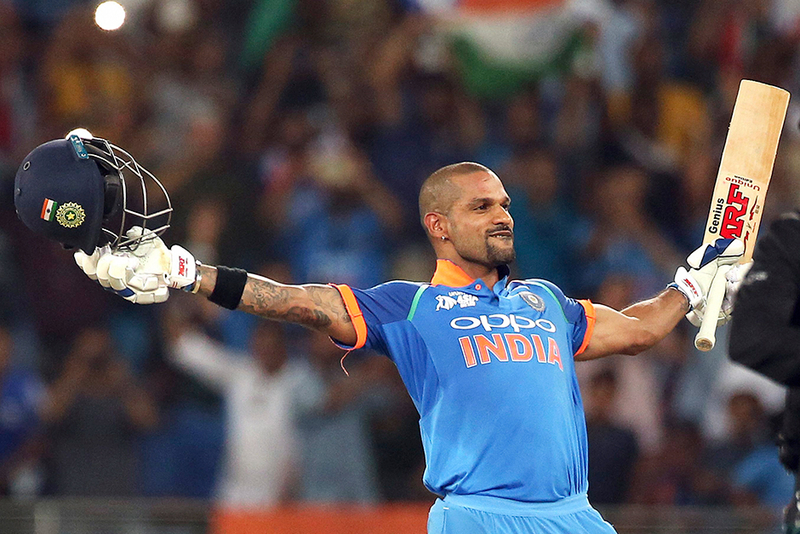 Shikhar Dhawan is the first to reach his half century in 56 balls, it is his 26th ODI half century. Pakistan bowlers have no clue how to end this partnership which is growing very big. India is 91 for no loss in 18 overs. India 72 for no loss in 15 overs Shikhar Dhawan going strong on unbeaten 43 and Rohit Sharma on 28. When India openers in the middle the Pakistan bowling looks so easy to handle. Added to that dropping a catch of Sharma has made things easy for the opening pair 62 for no loss in just 12 overs. India after 10 overs are 53 for no loss. Rohit Sharma and Shikhar Dhawan making Pakistan pay for missing out of opportunities. Drop catch of Sharma clearly going to hurt Pakistan. The skipper has been in fine form so far in the tournament. Rohit Sharma has been dropped by Imam Ul Haq. You have to feel for Shaheen Shah did everything right there. Rohit was into the drive early but Imam made a mess of it. India is 38 for no loss in 7 overs. India 18 for no loss after four overs. Skipper Rohit Sharma is on 3 and Shikhar Dhawan on 15. Innings break: Pakistan have managed to post 237 for 7 in 50 overs. Shoaib Malik top scored with 78. India will be happy with their effort with the ball. If Pakistan have to fancy any chance of winning this contest then they will have to make early inroads. It was a brilliant exhibition of death bowling from India. Just 26 off last five overs. Pakistan 234 for 7 in 49.3 overs. Shadab Khan is clean bowled by Bumrah. Pakistan are six down for 211. Asif Ali's blitz (30 off 21) has come to an end. Stumped by Dhoni off Chahal going for a wild slog. Can Pakistan score 250? Five overs to go. Shoaib Malik's fine knock of 78 comes to an end. Bumrah gets the edge as Malik was looking to flick it through fine-leg. Pakistan 205 for 5 in 44 overs. Six...four...Six.... Bhuvneshwar Kumar is getting smashed here from Asif Ali. Pakistan 193 for 4 in 42 overs. Malik is on 73. The 107 runs partnership between Sarfraz Ahmed and Shoaib Malik in 23 overs has been broken. Sarfraz (44) finds Indian skipper Rohit Sharma at covers off Kuldeep Yadav. He must be hugely disappointed here for throwing away his wicket. The 107 runs partnership in 23 overs ends. With the sun going down and the office hours ending, the stands are filling up. Still plenty of cricket remaining in this contest. 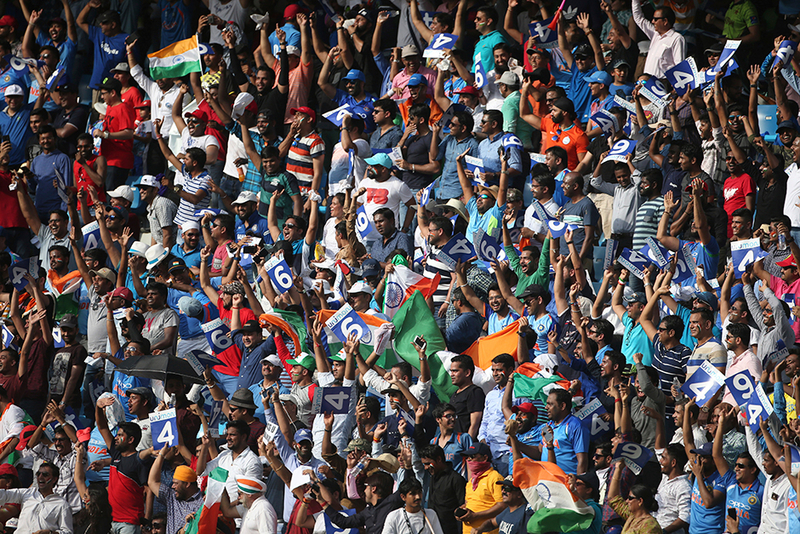 Pakistan 150 is onboard with Malik smashing a six off Jadeja. Shoaib Malik has clearly carried that match winning form from the last match against Afghanistan into this one. He has scored another fine 50 off 64 under pressure. Pakistan have recovered well and are 141 for 3 in 35 overs. Sarfraz Ahmed is on 35. Malik’s 43rd ODI half century gives hope of posting a total of over 250. His partnership with Sarfraz Ahmad has swelled to 88 runs. Kedar Jadav is getting a bit of hammering here. Sarfraz has smashed him for two boundaries in the 31st over. Pakistan 128 for 3 in 31 overs. Malik and Sarfraz moving along nicely on 43 and 29 respectively. Two blunders from Pakistan. Fakhar Zaman not asking for a review and Babar Azam gifting his wicket through run out. Pakistan fighting for a challenging total and are 100 for 3 in 27.1 overs. Malik is on 24 while Sarfaz is on 19. Malik is slowly taking an aggressive approach here. He is looking to unsettle Chahal here and have slogged the latter for a six in the last over. India have really slowed down things here. Runs are coming at a trickle. Sarfraz Ahmed and Shoaib Malik are trying to resurrect the innings. Pakistan 82 for 3 after 22 overs. Pakistan seems to be losing their plot here and are in a bit of bother. Babar Azam is run out for 9. They are 58 for 3 in 15.5 overs. Pakistan are two down. Fakhar Zaman out legbefore to Kuldeep Yadav. There was gloves involved but Zaman seems to have not felt it as he lost his balance and just walked without asking for a review. Pakistan is 56 for 2 at the end of 14 overs. Pakistan is 50 for 1 in 14 overs. Pakistan 31 for 1 after 11 overs. Babar Azam is on 2 and Fakhar Zaman on 14. Lot will depend on this pair as Pakistan have made a very slow and cautious start. Yuzvendra Chahal strikes for India. Never read the leg break wrongly especially from Chahal when playing across. It's the big wicket of Imam-ul-Haq leg before following a review. Pakistan 24 for 1 after 8 overs. 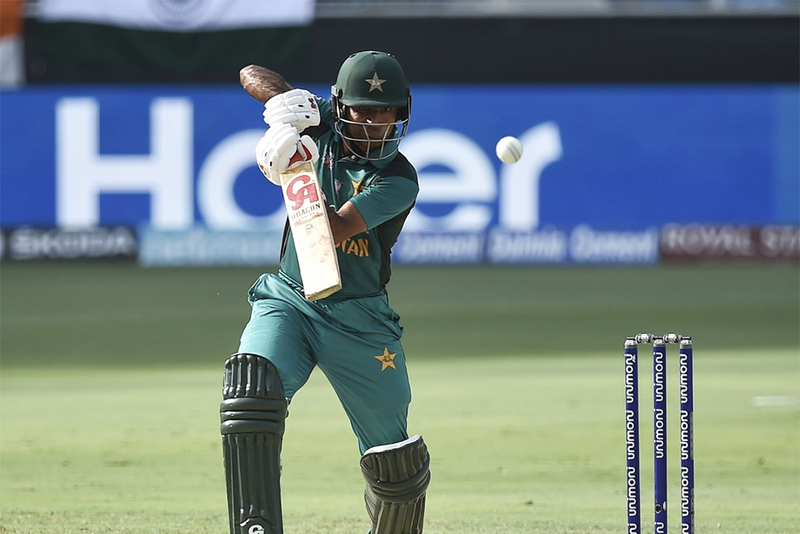 Pakistan, who lost to India in the first round by eight wickets, brought back paceman Mohammad Amir and leg-spinner Shadab Khan who regained fitness after suffering groin injury. They replaced Haris Sohail and Usman Shinwari in the squad which beat Afghanistan by three wickets in the Super Four stage match on Friday. India kept the same team that beat Bangladesh in the first Super Four game. Both teams have won their opening Super Four stage matches. 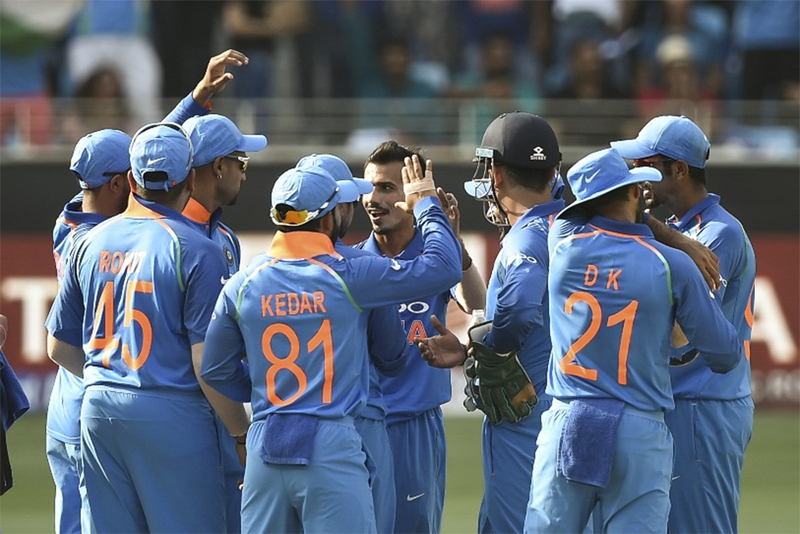 India was dominant in its comprehensive seven-wicket win over Bangladesh, while Pakistan triumphed over a fighting Afghanistan with just three balls to spare. The winner today is almost guaranteed to secure a place in the final.